Today has been another nice spring day and it is starting to warm up nicely. This afternoon Mother-in-law and I went for afternoon tea at a local hotel. It was a lovely afternoon and a really nice tea. The scones were so fresh that they were still hot when she brought them to the table! 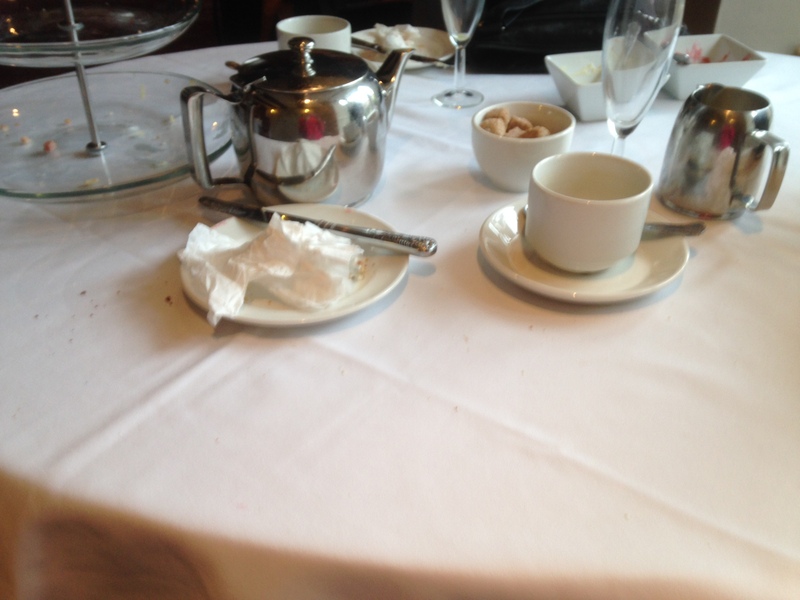 I was so busy eating the delicious sandwiches and cakes I forgot to take a photo before we’d eaten it all! This time last year I certainly couldn’t have eaten this much! I was barely eating at all, which rather worried my husband, but was mostly down to the pain meds I was on. I am still taking paracetamol and a drug for nerve pain but I am starting to wean myself off them now. I don’t feel much pain now – more discomfort really, but I don’t know whether that is because the pain has gone or because the drugs are working! I guess there is only one way to find out.